The Bugatti Veyron is well known by high-school supercar fanboys worldwide as being “the fastest car in the world.” Here’s a fact that’s even cooler: its top speed of 254.04 mph is just about as fast as it takes to literally think. The brain processes thought with neurons, sending signals around your noggin, which actually have a measurable speed. It just so happens that the fastest your brain can send a signal is around 274 mph. That just edges out the fastest a Bugatti Veyron has ever been officially clocked. 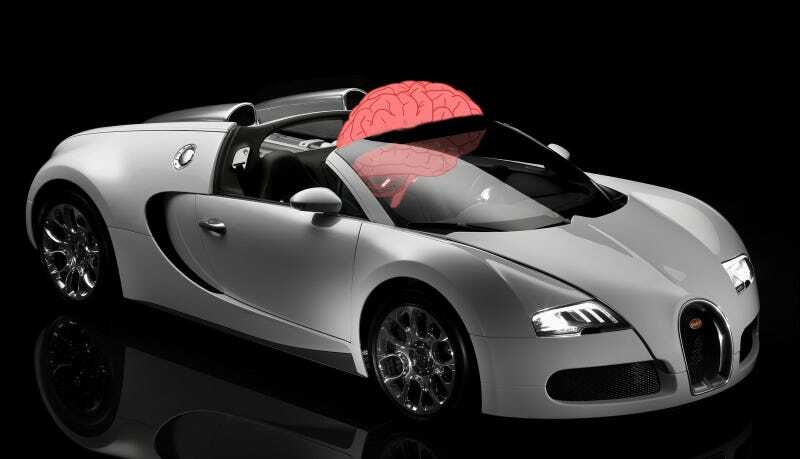 Sure, plenty of cars, and planes and other stuff have easily broken the top speed of the Veyron, but it’s probably the most widely known “thing that goes fast” within the range of the speed of the brain. So, does this mean that the new Chiron should be faster than we literally think? Your thoughts are traveling as fast as your car.